I never paid much attention to my dash lights. In fact, every vehicle I drove for years had the traditional green glow in the gauges. Over time, I have noticed much softer, more pleasant interior Lighting, which makes driving at night easier for me. Turns out, the lighting inside our favorite automobiles is a uniquely designed process, based on human psychology. Seems strange but consider this: At the end of a long day, especially this time of year, it gradually gets darker on your commute home. Consider the demands of your job, the housework, or all the terrible drivers next to you. These things can cause stress but would you believe some of how you cope with it on the drive home is directly related to interior lighting? “We know that gradients and homogeneity affect people’s moods” said Arun Kumar, Ford Optics Expert and Design Engineer. In other words, if there are variations in the dash lights, we will notice. “We also know the eye wants to focus on contrast changes and other inconsistencies in lighting – it’s an automatic function of the brain that can irritate mood,” Kumar said. The latest solution is an LED lighting technique Ford calls Crystal Diamond Light, whereby a diamond-like lens provides a broader distribution of light via a miniaturized fixture. Research from Ford shows such lighting improves efficiency up to 62 percent and lowers cost. Crystal Diamond Light debuted on the F-150 but will move to other models, starting with the new Fusion. Ford was updating its interior dash lighting initiative called Corporate Green back in 2000. In addition to pleasing the eye, the program sought high quality colors with good contrast for twilight and night vision. Men and women see some colors differently so the shade had to be universally accepted. Red and green are now reserved for emergency buttons, such as hazard lighting. Ford has moved towards a color called Ice Blue, more easily seen and perceived by the eye. 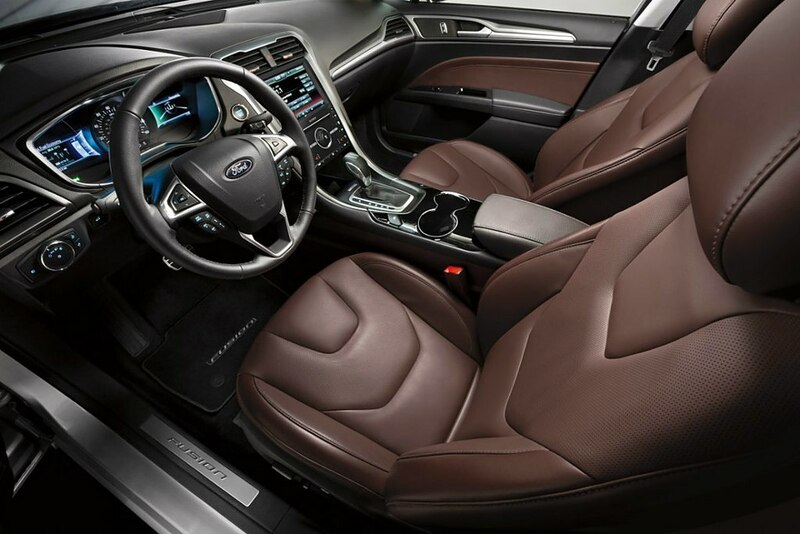 In addition, an available feature for many Ford vehicles is ambient lighting. My Fusion Titanium has this and I enjoy it, especially when setting a particular mood for night driving. What do you think of the interior lighting in your vehicle?